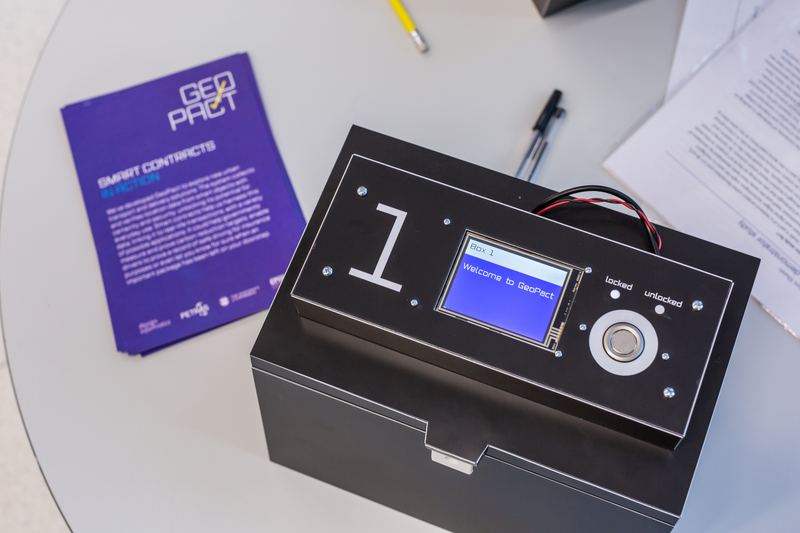 Design Informatics & SEStran introduces experts to smart contracts through the BLING GeoPact demonstrator. On 12-13 March 2019, transport and technology experts visited the University of Edinburgh for a hands-on demonstration of location-based smart contracts. The demonstration took place at the Bayes Centre and took participants through the process of completing smart contracts for delivering goods, by visiting various specially designated locations. The BLING GeoPact project uses a combination of IoT and Blockchain technologies to provide a secure and trusted way to collect, verify, store and use location data. With increased confidence in the validity and security of location data, it’s use within smart contracts could underpin increasingly transparent and seamless transport and delivery services. For example, a passenger could sign up to a smart contract to pay for a train journey, where payment is automatic on the arrival of the train at the destination station, and the cost is based on the train’s time of arrival, and a late train could mean an automatic lower cost. The aim of the BLING GeoPact demonstration was to help experts to engage with these abstract technological concepts and to explore how they might open up location data for new uses. The event in Edinburgh was specifically intended to engage with people with an active interest in using such a system and was attended by people from Edinburgh City Council, Sustrans, Ansons Consultancy and some of Edinburgh University’s own experts in the field of transport, mobility and smart technologies.